Hi there! At the end of last year I sat down and laid out our hopes and dreams for 2018, most of which veered towards increasing pay for our authors and being more accessible as a content provider. I’m back with an update on our progress. I’d be lying if I didn’t tell you that’s been a bit slow going, but we’re gaining some steam! We pushed our accessibility redesign ahead of schedule, and have received terrific feedback on what we’ve done well, and ways to keep improving. Our reader staff has also more than doubled, allowing us to get faster responses out to submitters, and we’ll be putting out our very first poetry issue this fall! In the coming days, we’ll launch both our Patreon page, and a small merchandise store to help bring in more funding, and make strides toward higher pay and more recognition. Our Patreon rewards are crafted to support writers and readers, from those we’ve published or reached, to those yet to grace us. 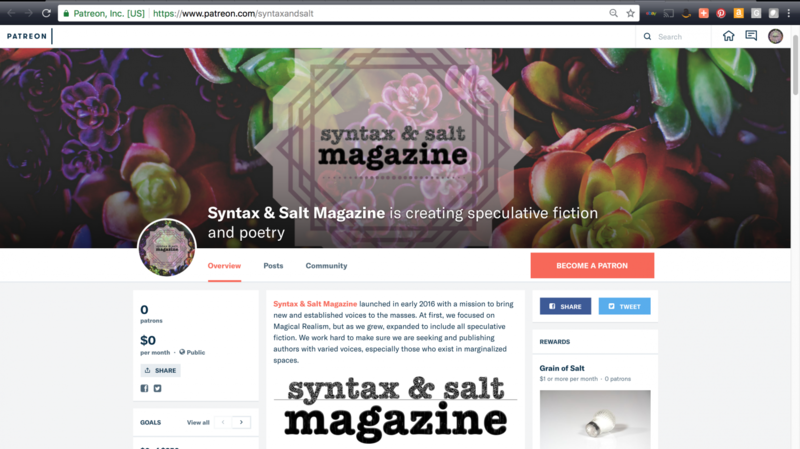 Patrons will be able to support a specific Syntax & Salt Magazine author, get exclusive stories and early issues, as well as writing and editing support. 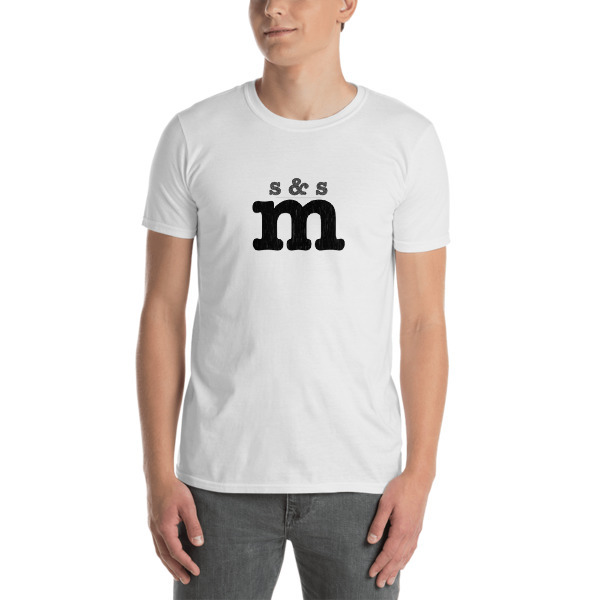 The store will operate on a print per order basis, and will offer t-shirts, totes, hats, and coffee mugs to start. You know, just everything you need to go read an issue of Syntax & Salt in the sun. 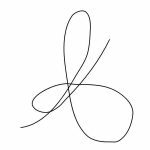 All of us here at Syntax & Salt are excited to get moving on these efforts, and offer more opportunity to our family of readers, writers, and supporters. Thank you, as always, for being a part of our growth. We could not do this without you. And stay tuned for Issue 2018:02, coming June 20th!